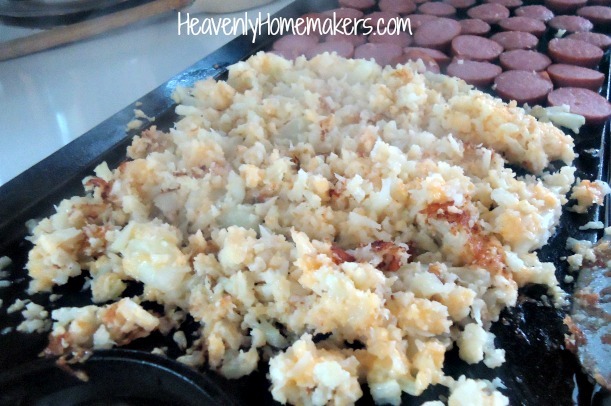 Let me just say that it’s hard (for me) to take a good picture of hashbrowns while they are steaming on a griddle. Below is a picture of the original recipe for these hashbrowns. I worked a little harder, added a few extra ingredients, and made them into Cheesy Cauliflower Cakes. My family loves them and the recipe makes us actually like cauliflower. I act like that’s a huge ordeal. It’s not. But I wanted you to know that you can cut out a few ingredients (eggs and bread crumbs), then pour the entire mixture onto a griddle or skillet and fry them like hashbrowns. They taste the same if you ask me, and they are easier! Steam for about 10 minutes or until tender. Stir in shredded cheese, minced onions, and salt until well combined. Melt 1-2 Tablespoons of palm shortening or coconut oil in a skillet or on a griddle. Pour cauliflower mixture into hot oil. Fry over medium heat until brown and crispy – about 5 minutes on each side. 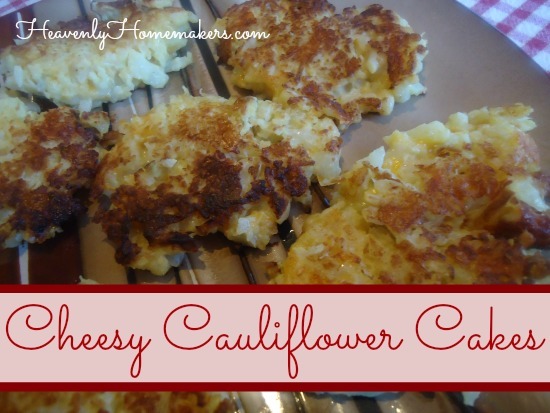 Have you tried the Cheesy Cauliflower Cakes recipe I shared a few months ago? 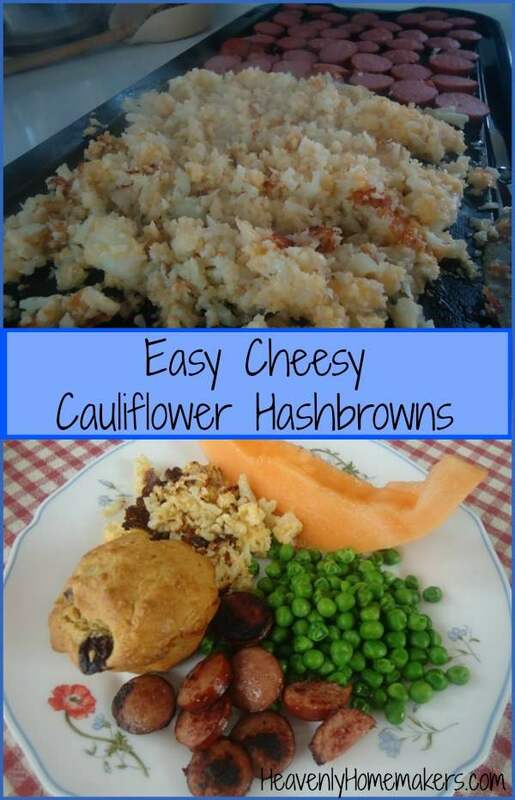 Try this hashbrown variety. It’s even easier!